Your main floor master bedroom search is over. This 2580 sq ft ranch has 2 master bedrooms. 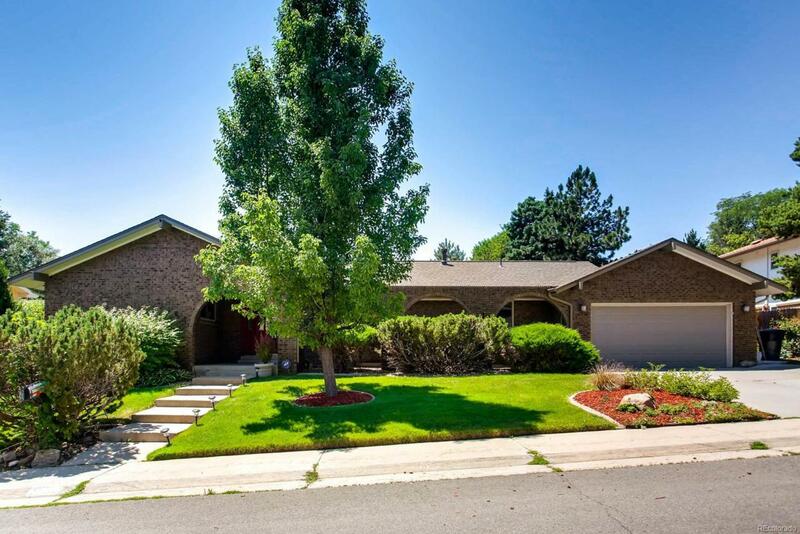 Located in a very desirable neighbor, close to shopping, restaurants, I-25, 225, Kennedy Golf Course, light rail, public transportation, walk or cycle on the Highline Canal. If you like to cook or bake this beautifully remodeled kitchen has it all with a Sub Zero Refrigerator, Dacor Double oven with warming drawer, Cherry Cabinets with under counter lighting, granite counter tops, vegetable sink, wine storage and large pantry. Bamboo Hardwood floors in the Family room, Dining room, Kitchen. Tile in the entry hallway and mudroom. 1 very large master bedroom with his and her walk-in closets with shelving, his and her sinks, his and her toilets and laundry. Enjoy the wonderful summer mornings sipping coffee or relax and BBQ your favorite family meal. Finished basement with full bath and family room/non-conforming bedroom. Home is "SOLD AS IS". Sellers need adequate time to find replacement home.